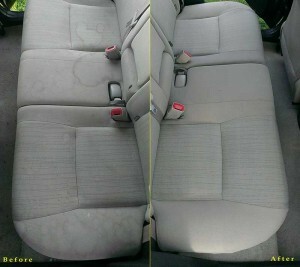 Car Upholstery Cleaning - Book a Cleaner Now! Ely Cleaning Services are the specialists in automotive upholstery cleaning in the area, by using the best tools and cleaning materials available we can clean from the roof lining down to the carpets. Cleaning and sanitizing all fabric, killing bacteria which can contribute to offensive odours. Stage II – Cleaning and Removal The Chemspec detergent is introduced under pressure through the Numatic’s special nozzle and dirt removed into the vacuum cleaners waste tank without wetting the upholstery.